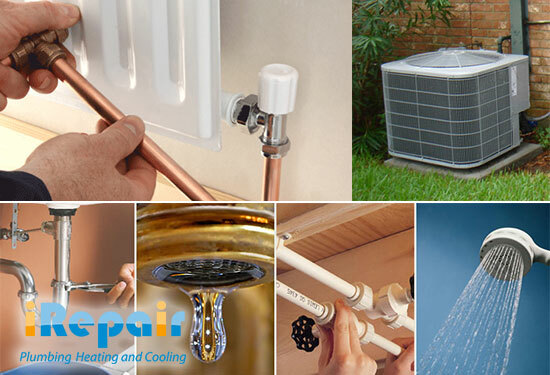 Welcome to Irepair, Your One-Stop-Shop for all Your Plumbing, Heating and Cooling Needs in Pompton Lakes NJ. Who are We? For 15 years, Irepair Plumbing Heating and Cooling has provided comprehensive and customized plumbing solutions to Pompton Lakes New Jersey residents. As a family owned and operated business, we appreciate the plumbing needs of families in our local communities by offering reliable services that are accessible 24 hours a day. Plumbing and Waste Management- As New Jersey’s plumbing masters we understand that plumbing emergencies happen at the most inopportune time. We attend to those emergencies irrespective of their nature within 45 minutes of notification. Heating– As the leading HVAC company in the region, we have the tools, skills, ability and motivation to tackle all your residential and commercial heating needs. Cooling– We install, service and repair air conditioning systems of all models and makes. Experience: Every day, for more than a decade, Irepair Pompton Lakes New Jersey has delivered top-notch services to hundreds of clients. Those 15 years have turned us into experts and the industry’s reference point in service delivery. Quality Workmanship: Our customers are at the center of our service delivery. As licensed professionals in installation, repair, and servicing of plumbing, heating and cooling machines and accessories, we only use the best product in the market. To demonstrate our confidence in the quality of our workmanship, we offer a 1-year written guarantee. Transparency: All our charges and fees are disclosed upfront. When you contract us, you can rest assured that the invoice will not bring with it surprises. Peace of Mind: For years, New Jersey residents have opened their homes to us. We have earned their confidence as trustworthy service providers who respect the sanctity of their homes. To nurture this trust, we have a stringent vetting process for our employees, and we only hire those, whose character is above reproach. If you need professional advice on a Plumbing Cooling or Heating job in Pompton Lakes NJ, Irepair will be more than delighted to help you.